Neighbor disputes can be a headache and whoever came up with the saying that “good fences make good neighbors” obviously hadn’t considered the trouble potentially involved. Calls to law offices to solve disputes involving boundary fences and trees are steady. However, if you found yourself in this position, do you know the law? Are you even certain whether you’re right or wrong? Obviously, it’s better to avoid neighbor disputes altogether, if only for a quiet life, but check the law before taking action. Your neighbor’s fence is collapsing into your garden. They should fix it, right? Wrong. Under the California Civil Code, you and your neighbor are both responsible for good maintenance. Any problem will start when talk turns to money, since the law is on your side in making an equal contribution, if reason doesn’t persuade them to pay up, small claims action or even the threat of it will. Trunk in your neighbor’s garden, but branches causing a nuisance in yours? Technically, it’s their responsibility, even if it could be argued that most of the tree is in your garden! Overgrown foliage is considered a nuisance and you are perfectly entitled to remove anything that hangs over your property boundary. However, don’t endanger the life of the tree or bush or it’s you that are liable for damages, tree nuisance or no tree nuisance. An impressive fence may not quite be on the scale of the Roman general’s attempts to keep northern tribes out of England but it can cause you problems nevertheless. If a fence is considered “too high” and is blocking your light or view, it can be considered a spite fence and the owner can be ordered to remove it, or reduce it to a more appropriate height. 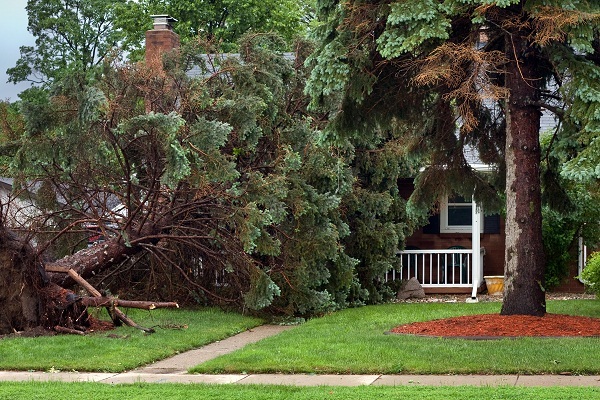 Check out this blog if your neighbor’s tree and fence creating a nuisance for your home and garden. This entry was posted in Fencing Guide and tagged Damaged Fence Repair, Fencing Laws, Fencing Tips, Neighbor Dispute. Bookmark the permalink.